All the tools are in, the stands are ready, the flooring is down, the slatwall is up! We start building bikes this weekend! Woo Hoo! Too many exclamation points?!?! Absolutely! Tune-ups, repairs, upgrades, all of your bicycle servicing needs are now available. 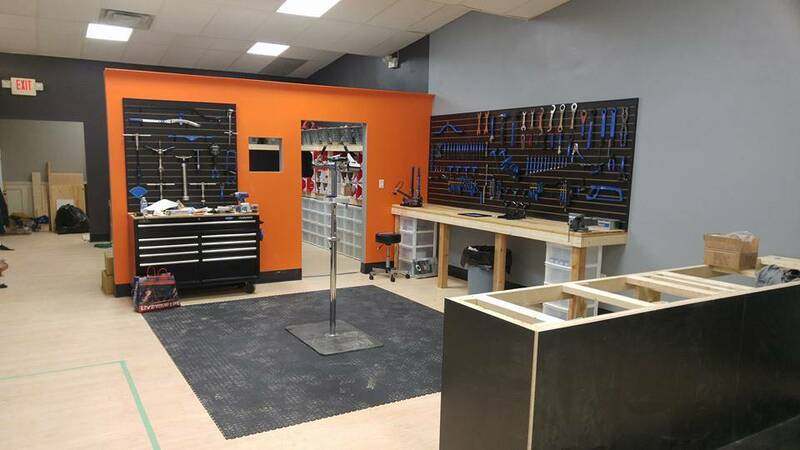 Are you set up to do bike tune ups after the grand opening ? Grand Opening is April 8th. Come on out! Ready to buy some road tubes and tires. Eta on opening?